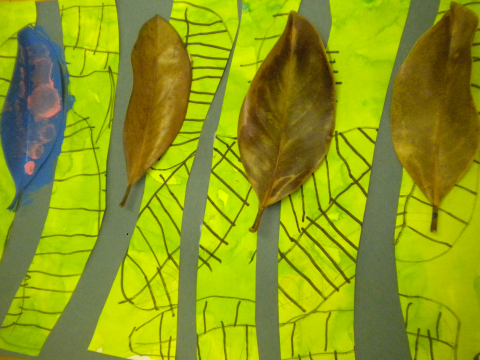 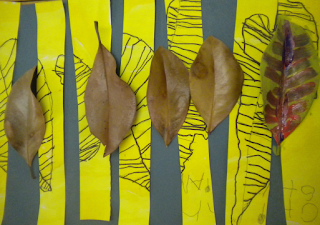 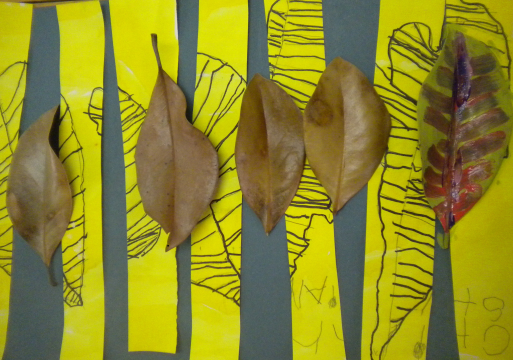 For this project, students cut their leaf pictures which were completed the week before into strips of paper. 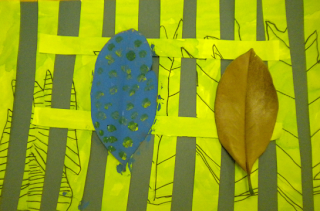 Students glued the strips of paper on a green piece of construction paper. 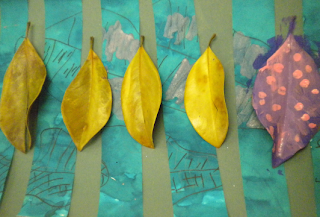 From a pile of Magnolia leaves we selected a number of leaves and created a new composition. 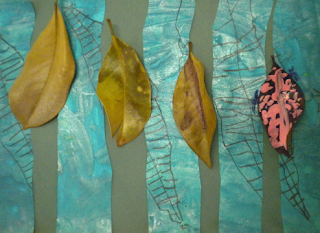 Students wanted to paint the Magnolia leaves. My suggestion to them was to paint only one. 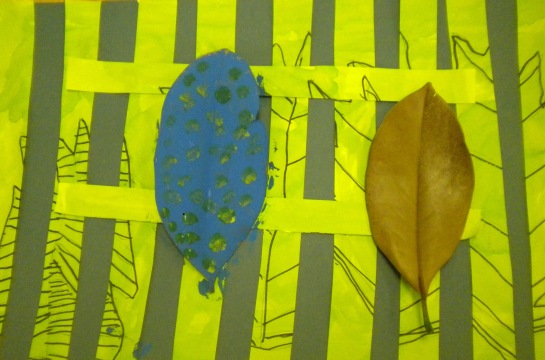 Student comment: "The Magnolia leaves are smaller than my green leaves." 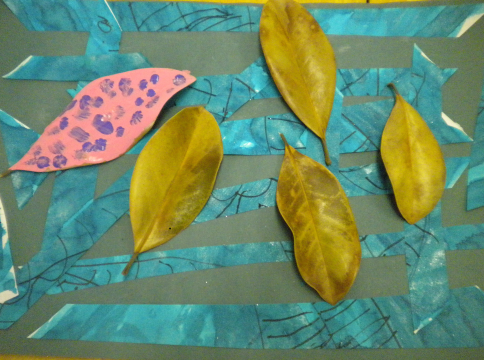 Student comment: "I can see the veins on my leaves." Student comment: "It is a family of leaves. 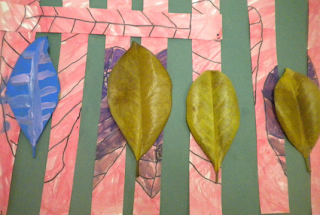 The three children are in the middle." Student comment: "It was a windy day." 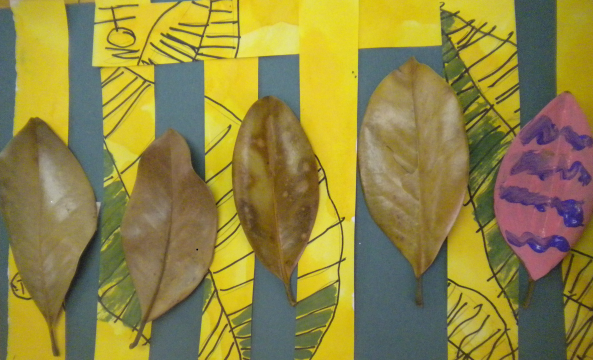 Student comment: "Do you think the other leaves are upset because we did not paint them?" 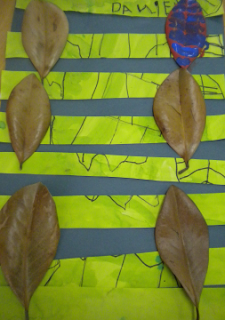 Wow, these compositions are very interesting leaves. I really like.